Crews of famed T-6 "Mosquito" spotter control planes were stunned when the pilot of one of the unarmed air control planes strolled into the interrogation room one night . . .
By Stephen Sherman, Feb. 2011. Updated July 10, 2011. 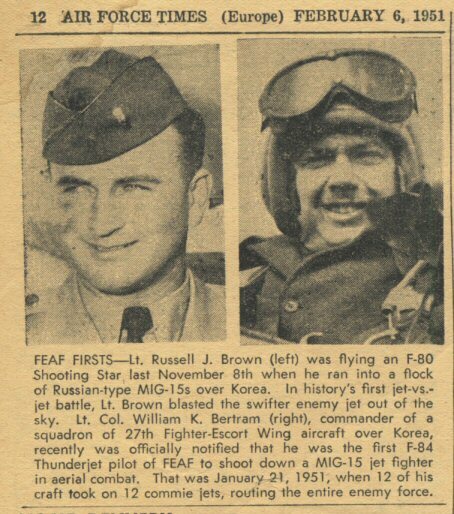 On November 8, 1950 Lt. Russell Brown, flying a Lockheed F-80 Shooting Star over Korea, engaged and destroyed a Soviet-built MiG-15. It was a landmark event in military aviation history - the first fighter jet to shoot down another jet. One of the visitors to acepilots.com was kind enough to share some contemporary newspaper clippings. 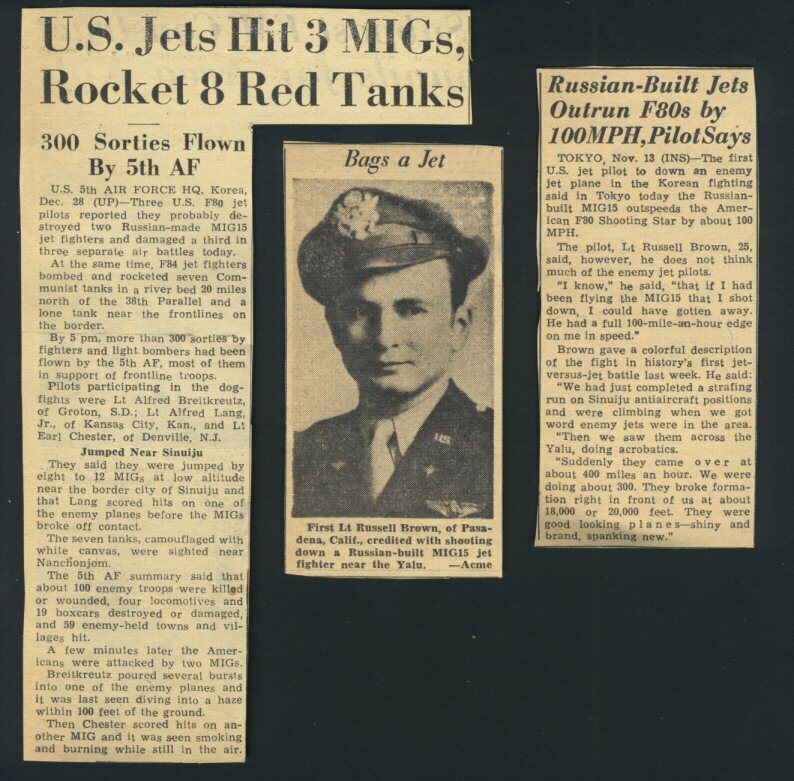 Three U.S. F80 jet pilots reported that they probably destroyed two Russian-made MIG-15 jet fighters and damaged a third in three separate air battles today.